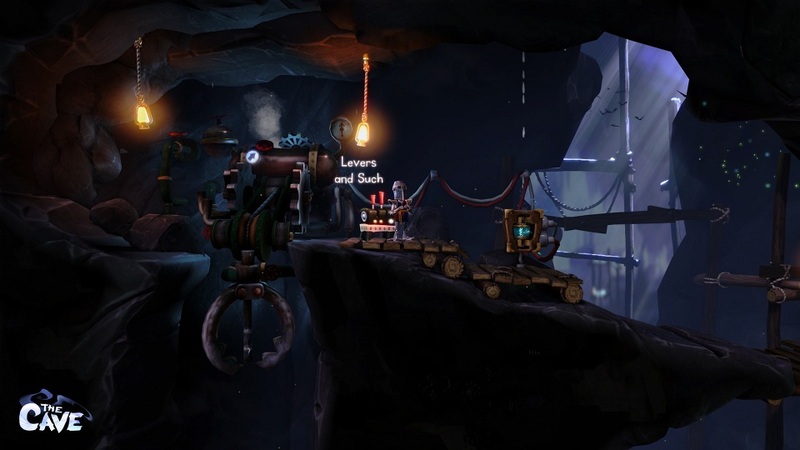 The Cave is a puzzle adventure game. Although it plays from a side-scrolling perspective, it is not the platformer that it appears to be. You'll be doing plenty of running around and jumping, but this is never intended to be part of the game's challenge. 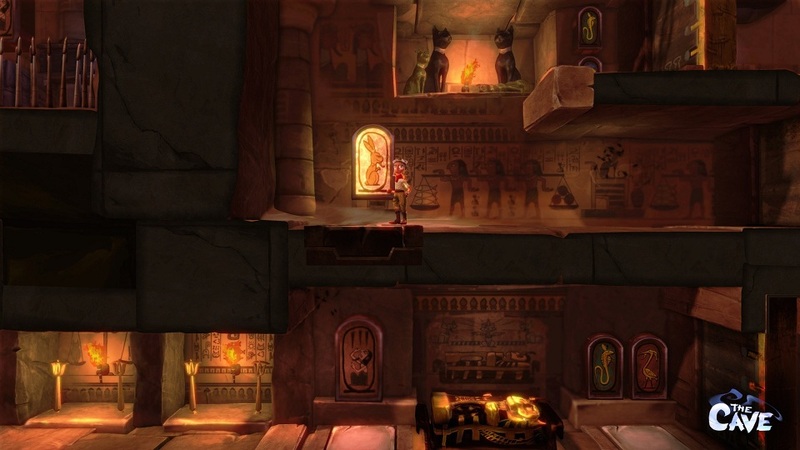 Although there are a few secrets to be found by exploration (these secrets are pictures that fill in parts of a character's story-line), for the most part you will visit every nook of the game by necessity in order to complete the puzzles. When the game starts you choose three characters out of seven to play through the adventure with. These characters each have a unique ability, unique story, and will each have their own unique level that you will play through. These unique levels are the best part of the game, each one is very creative, tells the story of one of the game's characters (which are darker than you might expect), and features the best puzzles in the game; although, unfortunately, that isn't saying much. This is one of the four very distinct issues that I have with this game, that I will detail in the "Cons" section of the review. The overall feel of the game was surprisingly dark. I was hoping to play this with my daughter, but after the first couple of minutes I was glad that I had tried it out by myself first, due to the darker nature of the game and some minor language. -Polished. 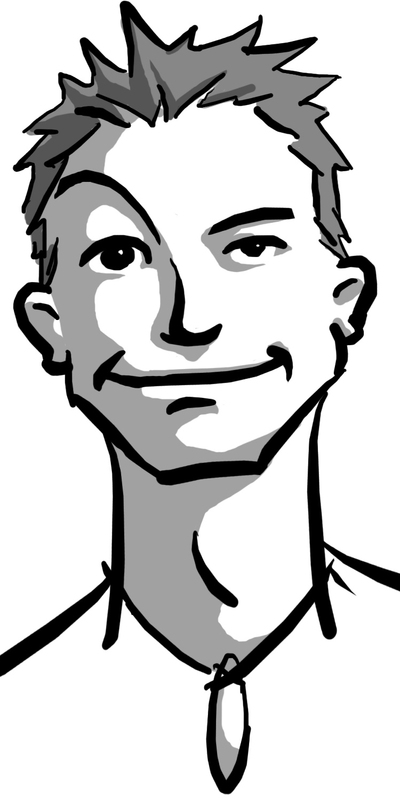 If there's one thing I can always say about a Double Fine Productions game, it's that it is polished. Things work as expected, and look good doing so. -Humorous! Another staple of Double Fine is their sense of humor. There were several times I laughed out loud while playing The Cave, and I wanted to play through the other characters so that I wouldn't miss any of the fun. To be honest, this was probably the only reason I even finished the game. -Seven characters to choose from. This is just a bad number, and it almost feels like a cheap trick to give the player a reason to have to play through the game a third time. Since you can only take three at a time, the first and second play-through you can have three unique levels to try out, but the third time through will be almost entirely repetition. Because of this I highly suggest leaving the Knight for last, as his level is the first one you'll come to, meaning you won't have to play through the entire game a third time to get to play through each character's area. -Easy puzzles. The utter simplicity of nearly every puzzle of the game meant that I felt like all I was doing was running errands. I realize I'm saying this at the risk of sounding pretentious, but on my first play through I only had two "What am I supposed to do now?" moments, and only one of them was because I couldn't solve the puzzle, the other was because of the poor world design(more on that below). What's even worse is that even though each character has a unique ability, these were never used in tandem to solve a puzzle. In fact most of these unique abilities were only useful within the levels designed for the specific character. -Problematic world design. Because of the way the game is set up, you'll be doing a lot of repetition on replay, and possibly a bit of head scratching on your first play through (I certainly did). The entire game world exists as one whole, including four levels that you'll play through no matter what characters you choose, and seven levels that each belong to a specific character, and will only be accessible when you have that character in your party. But the game doesn't explain this. This means that on your first time through you will likely come to areas that you can't figure out what you are supposed to do to proceed. It's because you can't proceed because you don't have the right character to do so. But it doesn't tell you that. I spent nearly an entire hour on my first play trying to figure out how to get into an area before I finally discovered that there was another direction I could go. But even so, I left feeling like I had missed something. Luckily when this happened again later I figured out what was going on, instead of being stuck again for another hour. -Three characters, one player. Since each character is controlled individually—and often times are needed in different areas of a level, and then all in the same place, and then in different spots again—you'll be doing a lot of monotonous running back and forth. This would be easily solved with a "call" button that brought the inactive characters to the currently select one automatically (if possible). SUMMARY: Despite its major flaws, I had fun with The Cave, but this was due entirely to its humor and storytelling. I spent a good deal of time frustrated with running around the same completed areas for the third time while moving characters from one puzzle to the next, and never felt the satisfaction of having solved a complex puzzle. If you think some great humor and well told stories are worth suffering through menial tasks and repetitive gameplay, then try out The Cave, otherwise, you may want to set your sights elsewhere.